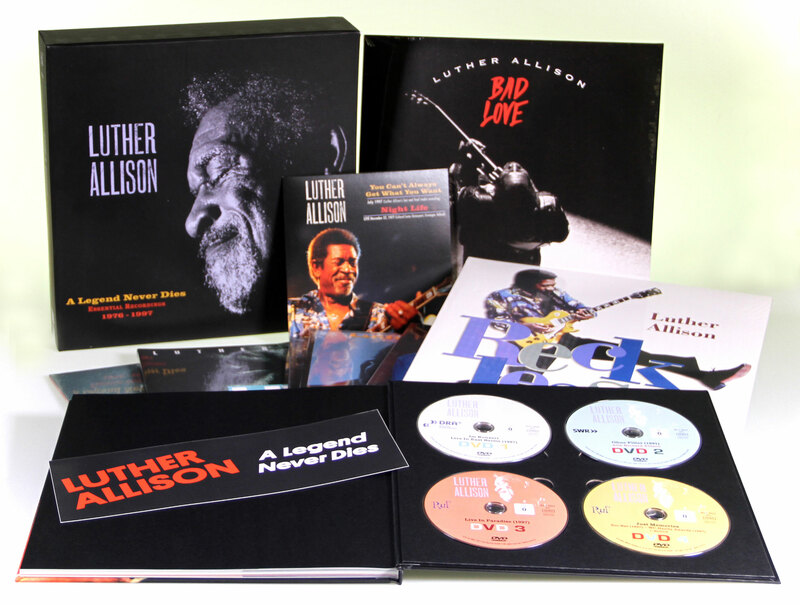 •	First comprehensive LP and DVD retrospective, a detailed look at the incredible career of one of the most fascinating modern blues personalities par excellence. •	Numbered edition limited to 1,000 copies worldwide. •	Four original LP albums, plus three 2-LP sets. •	Including ’Montreux 1976 - The Complete Show' – first time on LP! •	Many more recordings first time on vinyl! •	Reproductions of the original artwork. •	Direct-To-Metal Mastering by Pauler Acoustics, 180gram pressings by Optimal media. •	Four concert DVDs, including 'Live in East Berlin 1987', a contemporary document, plus Luther’s jaw-dropping show from the 1997 W. C. Handy Awards in Memphis. 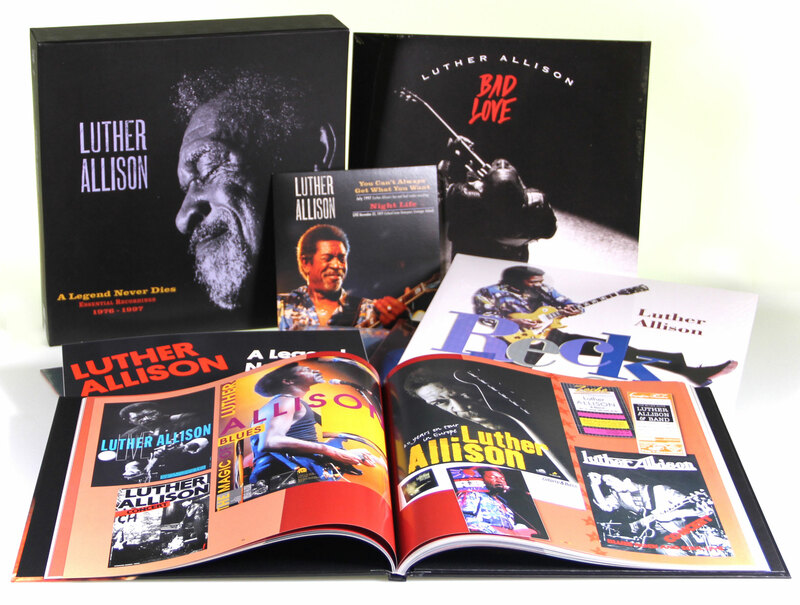 •	The 88-page accompanying book comes with a biography by blues expert Art Tipaldi, personal memories of fellow musicians and Luther’s contemporaries, ,plus an in-detail discography. •	Countless previously unpublished photos, some from private collections, augmented by illustrations, posters and memorabilia. 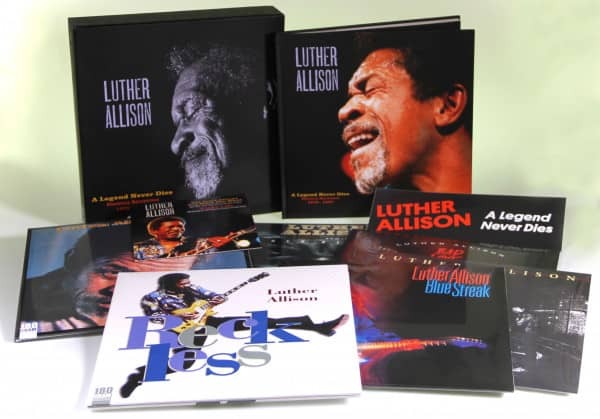 •	In addition, Bear Family delivers a vinyl single (picture sleeve, 33RPM) with Luther's last studio recording and an unreleased 1977 live track as an exclusive bonus! With his charisma, warm-heartedness, and almost insane energy, he transformed the stage and auditorium into a temple dedicated to the blues, the emotions and the connecting force of a live performance. His death on August 12, 1997 was a shock for his family, his friends and the members of his huge fan base. We all have lost a great musician, a tireless fighter and an ambassador for soulful blues music. With this great release, which is also available as a limited edition CD box, Thomas Ruf has produced a worthy memorial to the artist who once inspired him to found Ruf Records. 02 What Have I Done Wrong? 05 What's Going on in My Home? 08 Will It Ever Change ? 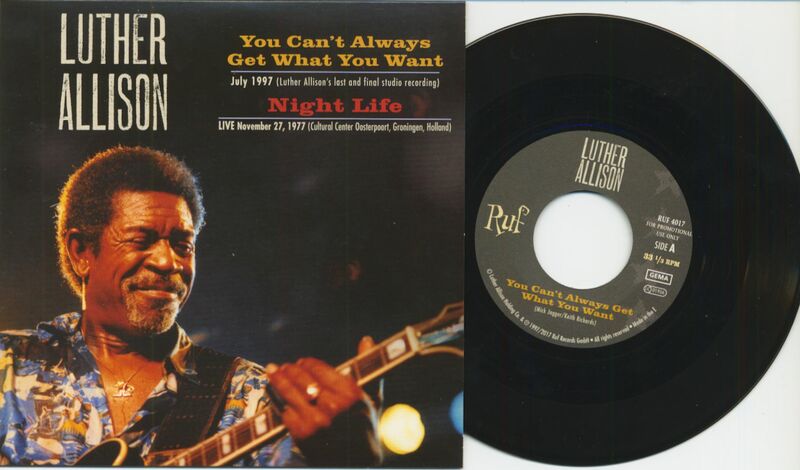 Even when he was just starting out on Chicago's West Side, Luther Allison understood the value of showmanship. "People like me, Freddie King, Magic Sam, Buddy Guy, we kind of had what the new generation is creating today," said the late Allison. "We walked in (when) these great people like Muddy Waters, Howlin' Wolf, and Little Walter were sitting down on stage, kicking out that good sound. We, the young guys, they gave (us) a chance and at one point (we) said, 'Hey fellas, let's stand up like we do in church when we get happy. Let's show this energy!' Because if you're gonna feel good with the blues, you can't sit down. If you sit down, the audience is gonna want to sit down, and that's not gonna work. If you're gonna play a fast song, why sit down?" When Chicago stopped being a welcoming homebase, the guitarist first migrated to Peoria, Illinois before chucking it all and settling in Paris. 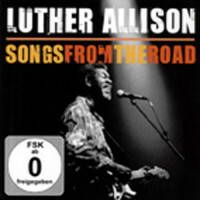 There Allison remained for the most part until 1994, when he came roaring back with a vengeance with his album ‘Soul Fixin' Man,' out on Alligator in the U.S. and in Europe on German manager Thomas Ruf's self-named label. The reenergized Allison's energy levels were higher than ever in concert; he seemed to need to prove himself all over again. "I know that there's no other blues act that can give that intensified four hours on stage at my age, and keep it interesting to the people," he boasted. The intense minor-key Bad Love was one of the highlights on ‘Soul Fixin' Man.' 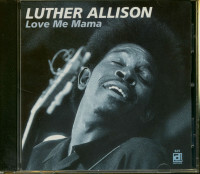 Allison was on fire vocally as well as on his axe, backed by his co-writer James Solberg on the other guitar, keyboardist Ernest Williamson, bassist Dave Smith, drummer James Robinson, and the Memphis Horns (trumpeter Wayne Jackson and saxist Andrew Love, veterans of countless ‘60s Stax/Volt sessions). 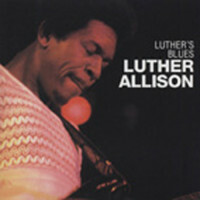 The set was produced by Jim Gaines at Ardent Studios in Memphis; he got all Allison had. "Now I want to know why I can't be on the top with everybody else in the blues," wondered Allison at the start of his astonishing comeback. "Like Dr. John says, 'You got to be at the right place at the right time.' I've been at all the right places. I've been there at all the wrong times. But I think I'm back home at the right time." 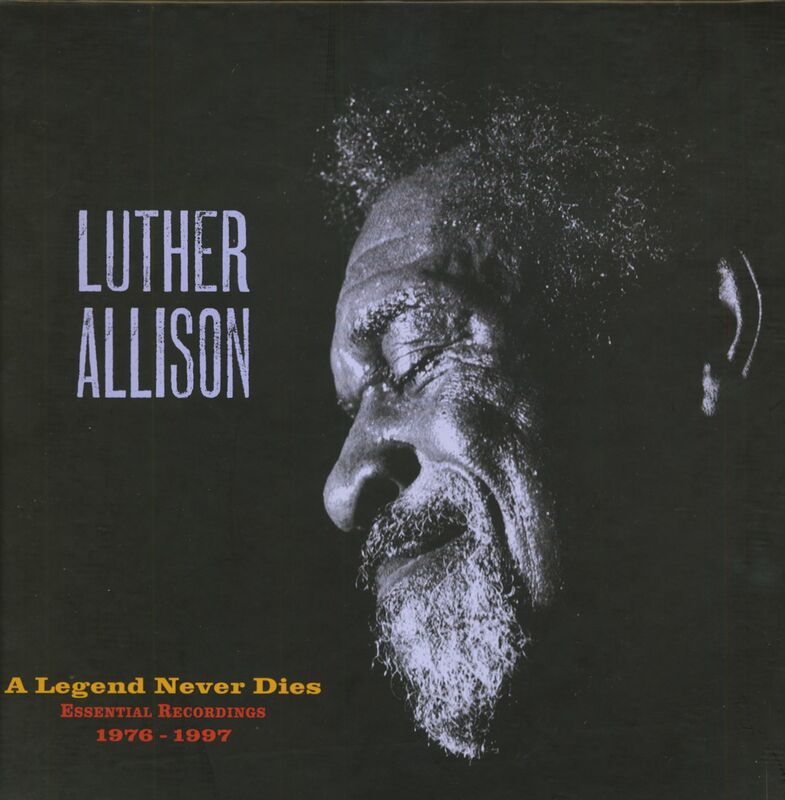 Galvanizing the blues world with his marathon shows, Allison encored on Alligator in 1995 with ‘Blue Streak' and 1997's ‘Reckless.' He was headed for the stratosphere when he was diagnosed with lung cancer and died August 12, 1997. 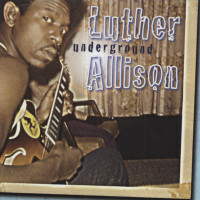 Son Bernard Allison, a fine guitarist, carries on his dad's blues legacy. 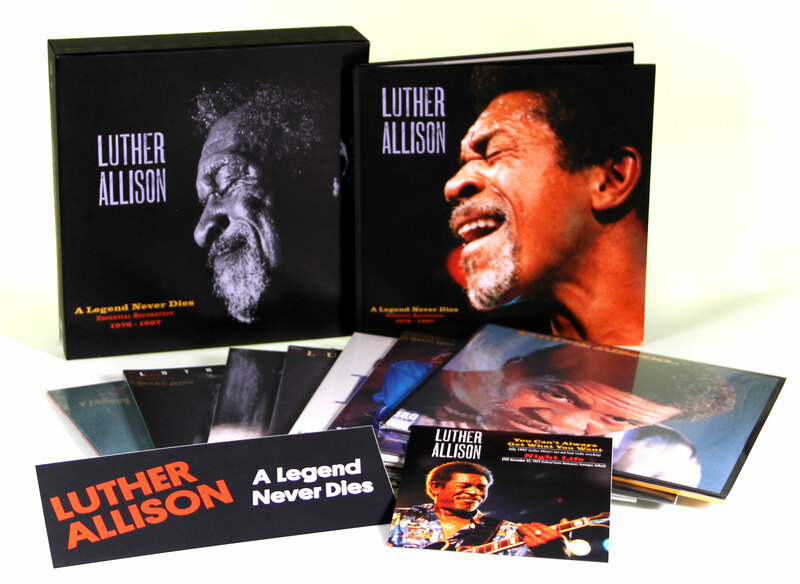 Customer evaluation for "A Legend Never Dies - Essential Recordings 1976 - 1997 (10-LP, 4-DVD & 7inch)"